Hard Rock Cafe Glasgow is located in the heart of Glasgow’s historic Style Mile in the restored, renaissance-inspired Athenaeum Theatre. Established in 1893, this striking theatre has musical history of its own: originally a music school, it later became the home to the Royal Scottish Academy of Music & Drama. With historic musical memorabilia gracing every wall, Hard Rock Cafe Glasgow fits right into the historic charm of the area and honors the history of the Athenaeum Theatre. Unfortunately we do not accept dogs unless they are assistance, service or guide dogs. 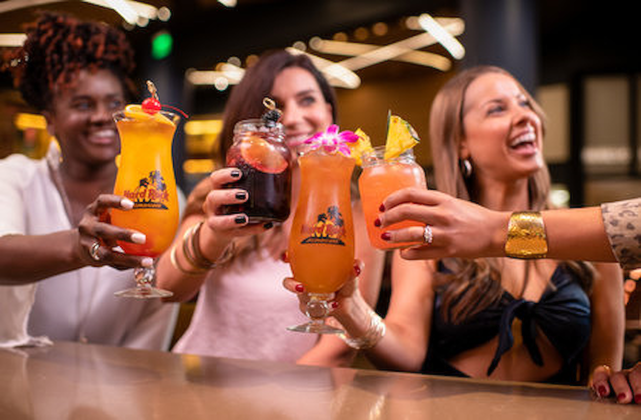 Hard Rock Cafe Glasgow invites you to indulge in cocktail making heaven and spend an afternoon or evening with our fabulous cocktail mixologist who will take you through the history of cocktail mixology, teach you how to make your favourite cocktails and even let you mix your own at the bar! Perfect for corporate events, staff incentives, hen and stag parties, birthday celebrations or just because you deserve it! Why not pop in and enjoy £3.95 cocktails all day long! 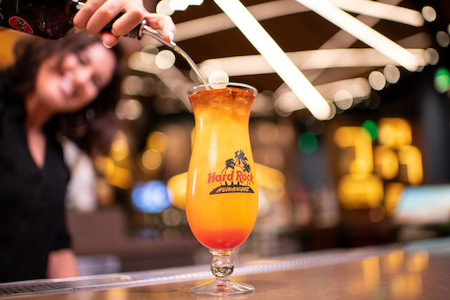 Available Monday to Thursday you can chooseany classic or signature Hard Rock Cocktail... our famous local Tonic boom is included too! We've lots to offer our junior visitors! 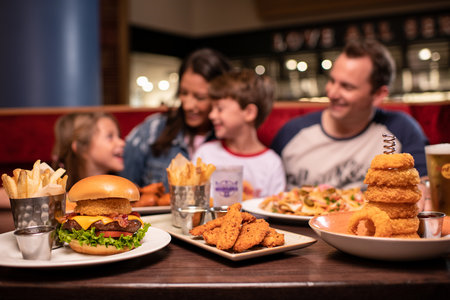 Our Hard Rock Roxtars menu has an awesome selection of kids meals created for ages 10 and under - see our menu page for full details. Be sure to sign your little ones up to our Roxtars membership programme when you visit, to entitle them to special treats throughout the year. 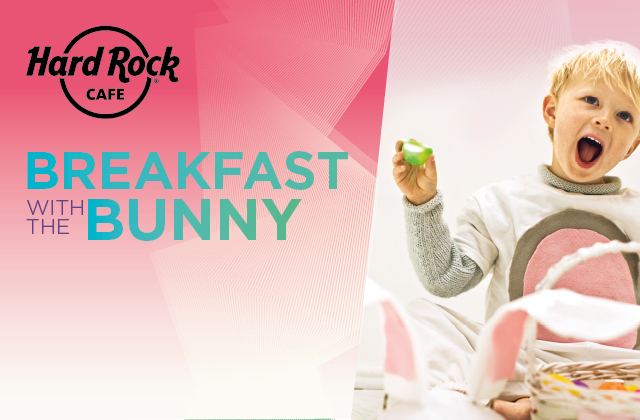 Hop on over for breakfast with bunny this Easter weekend! We are hosting a fun filled morning for all the family. There will be a buffet breakfast, family Magic Show and an Easter egg for every chid. Book your tickets now!